Beginning in September 1999, my series, Our City, Our Town, has been ongoing for over 950 articles. For me, it has been such an enjoyable experience. The first number of years focussed on the city and its development through the centuries. Over the ensuing years, the series has been concerned with the heritage of the River Lee Valley . Starting in Gougane Barra, the river Lee has led me into the lives of residents of the valley exploring their rich heritage. 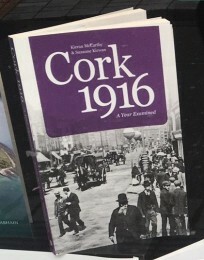 This series was followed by one on technical education in Cork City in the twentieth century and the origins of CIT and the regional histories of Cork Harbour and County Cork (present day); the column is currently looking at life and society in Cork one hundred years ago; visit http://corkheritage.ie/?page_id=20 for indices of the column. 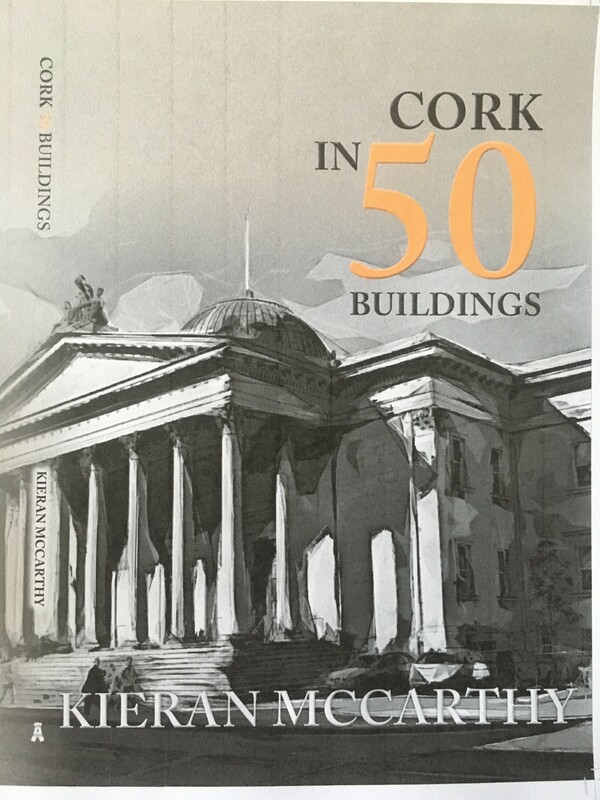 Cork in 50 Buildings (2018, Amberley Publishing) explores the history of this venerable old city through a selection of its greatest architectural treasures, from the St Anne’s Church, Shandon, regarded as a symbol of the city, to more recent additions such as the tower of the County Hall, once the tallest building in Ireland. 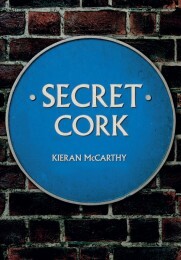 This book offers a glimpse to explore behind fifty of Cork’s historic buildings. book builds on my previous publications, takes strands of articles from this ongoing local history column, Our City, Our Town. It is also inspired by the annual Cork Heritage Open Day, which is organised by Cork City Council and where over 40 buildings open their doors to the public for one day at the start of National Heritage Week. This book highlights just some of my favourite buildings and stories that have charmed me. The new book promotes that the best way to get to know a city like Cork is to walk it – in Cork you can get lost in narrow streets, marvel at old cobbled laneways, photograph old street corners, look up beyond the modern shopfronts, gaze at clues from the past, be enthused and at the same time disgusted by a view, smile at interested locals, engage in the forgotten and the remembered, search and connect for something of oneself, thirst in the sense of story-telling – in essence feel the DNA of the place. 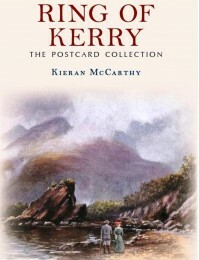 The third of three books Kieran McCarthy has been compiling and penning this year is entitled Ring of Kerry, The Postcard Collection. Vibrancy, a wild vibrancy, is perhaps the best way to describe the Ring of Kerry. Exposed by raw elements, the landscape is windswept and awe inspiring. This book follows on from Kieran’s previous work of exploring the nature of postcards in the south west region and how they helped to place-make and construct local, regional and national identity. 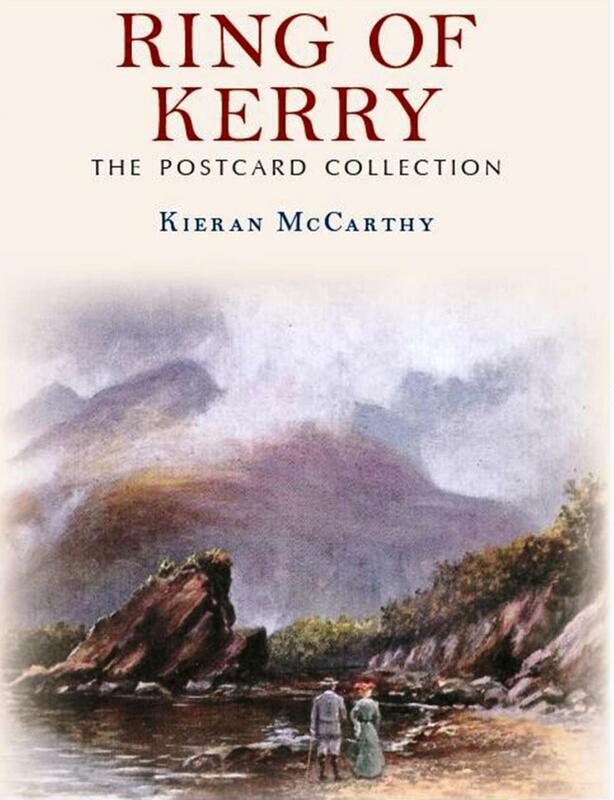 The book explores the fascination of landscapes around the Ring of Kerry or the Grand Atlantic Tour as it was known a century ago and comprises what could be genuinely described as stunning images. Many could be printed in large sizes and hung on walls and I have no doubt many have over the decades. They are beautiful images made to entice the viewer to remember, to visit and not forget. These postcards were the preferred souvenirs for connoisseurs of the landscape. They framed a world for people to view, consume, keep a part of, send to other people and mass produce. The mass production of such images helped advance the narrative in promoting the south west Iveragh peninsula. 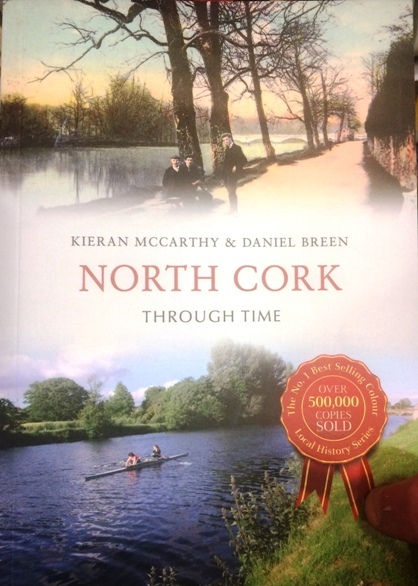 North Cork Through Time, it is compiled by Kieran and Dan Breen of Cork Museum and is published by Amberley Press. The region is defined by the meandering River Blackwater and its multiple tributaries and mountainous terrain to the north. It borders four counties that of Kerry, Limerick, Tipperary and Waterford. The postcards, taken for the most part between c.1900 and c.1920 show the work of various photographers, who sought to capture the region and sell their work to a mass audience. Not every town and village was captured in a postcard. This book brings together many of the key sites of interest and serves as an introduction to the rich history of the region. The multitude of landmarks shown in this book have been passed from one generation to another, have evolved in response to their environments, and contribute to giving the County of Cork and its citizens a sense of identity and continuity. North Cork Through Time by Kieran McCarthy and Dan Breen is available in any good bookshop. 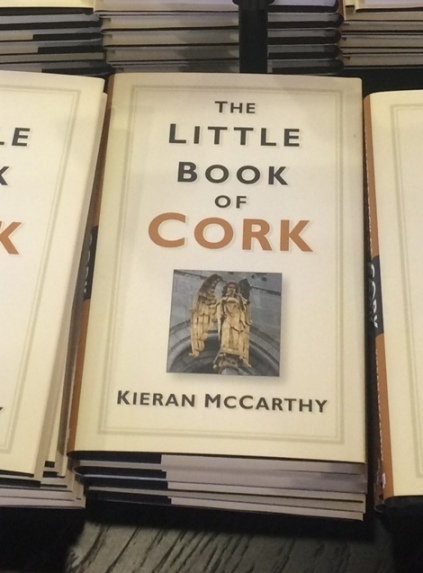 Published by History Press Ireland, The Little Book Of Cork, it aims to be a compendium of fascinating, obscure, strange and entertaining facts about Cork City. Here you will find out about Cork’s buildings and businesses, its proud sporting heritage, its hidden corners and its famous (and occasionally infamous) men and women. 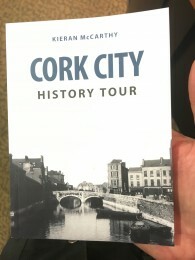 Through its bustling thoroughfares and down winding laneways, this book takes the reader on a journey through Cork and its vibrant past, recalling the people and events that shaped this great city. 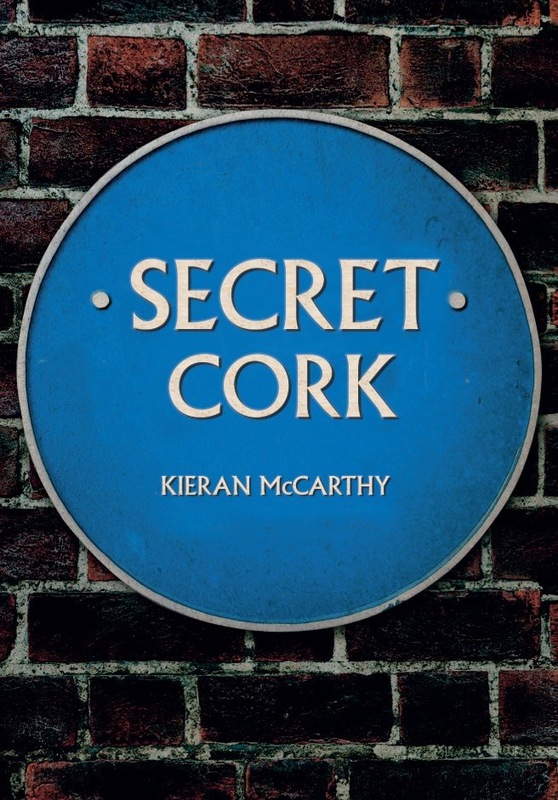 A reliable reference book and a quirky guide, this can be dipped into time and time again to reveal something new about the people, the heritage and the secrets of Cork. West Cork is known for many aspects, its scenery, its serenity, its culture and its people. 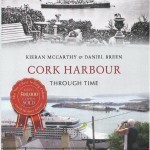 This book, West Cork Through Time by Kieran McCarthy and Dan Breen, explores 100 postcards of the West Cork region from one hundred years (c.1913) and follows in the footsteps of photographers to retake the same scenes in the present day. The old postcards, sourced from the collections of Cork City Museum, represent many memories and representations of the West Cork region. The book takes the reader from Bandon to Castletownbere through the changing and the non-changing face of landscapes and seascapes and provides an insight into the uniquenesses of the region. The necklace of towns and villages are all linked together through a striking section of Ireland’s coastline, over 320 kilometres in length, encompassing a raw coastal wilderness with expansive inlets continuously being eroded away by the Atlantic Ocean. With exquisite coastal scenery, add in undulating inland landscapes criss-crossed by mountains, hill, streams and rivers, imposing old world air villages and the visitor finds a discovery at every bend of the road. Journeys of Faith, Our Lady of Lourdes Church, Ballinlough, Celebrating 75 Years (2013). This book marks the 75th anniversary of the dedication of the building. The book aims to recover and provide a cross section of voices and personal memories of the most remembered aspects of Ballinlough parish over the past decades. The church represents one of the multiple threads of community life of the area. At its dedication ceremony on Sunday 11 September 1938, the orator of the sermon, Fr Kieran OFM Cap, spoke at length about the building belonging to the people and the people belonging to the church. Over 100 people were interviewed and worked with in order to produce a very personal book on the story of life within Ballinlough parish. People speak at length in this book about their faith, their personal connection to Ballinlough and its sense of place and how they link to it. The book is available at the church and from the sacristy at E.15 or send the fee to the church payable to Ballinlough and they will send one on (include p&p. E3). 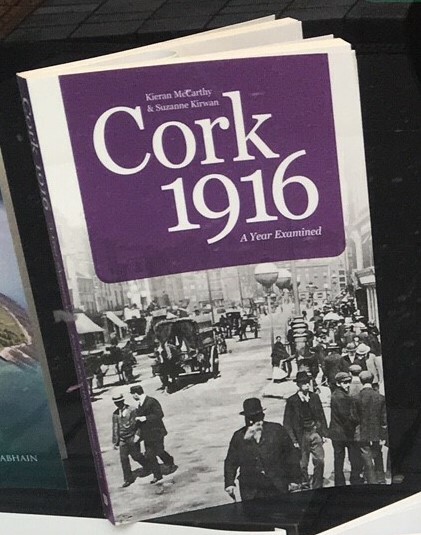 A postcard book contrasting then and now; As a port town, Cork was and still is strongly connected to the outside world – the international and small city ambitious in its ventures linking to a world of adventure and exploration. The city’s hills and troughs have created different perches for some of the city’s elaborate structures to stand on and for photographers to capture the city’s urban space. The buildings and streets shown in the pictures give one access to the imagination and efforts of the people. The photographs within this book are key to understanding the human experience, sense of place and pride in the city, one hundred years ago. Views of streets, public spaces, churches, the docks, and an international exhibition all show the energy and drive of a city, the legacies of which still linger on the southern capital of Ireland. With roots in the early nineteenth century, the Munster Agricultural Society has had a long history, being founded in 1806 under the name County of Cork Farming Society, changing to County of Cork Agricultural Society sometime in the 1830s and evolving in 1908 to its current name. The Society has evolved as the needs of its members changed over time to incorporate what they saw as relevant to the contemporary and future of agriculture in Ireland. Each successful season is immortalised in the society’s minute books, on the society’s perpetual tournament trophies and on the numerous photos that adorn the scrapbooks held in the society’s archive collection. The Munster Agricultural Society has been a pioneer in attaining improvements in Irish agriculture and in agricultural education. This book is its story told through a rich historical and evocative pictorial record set against the backdrop of the historic Cork Showgrounds. 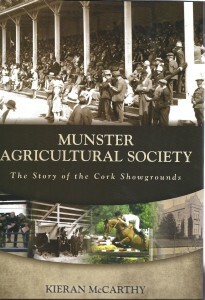 This book was published by the Munster Agricultural Society as part of a consultancy project. It can be purchased from the Society. In this volume I shed light on an important aspect of the educational heritage of the city which, in the nineteenth century, laid important foundation stones for our twenty-first century education. Although little remembered or spoken of in current day Cork, the Royal Cork Institution was remarkable in its time and the city owes a great debt to those who founded, developed and maintained that institution. Cork Institute of Technology, particularly it’s Science Faculty and its constituent schools of the Crawford College of Art and Design and the Cork School of Music can trace their origins back to the influences of the Royal Cork Institution. This establishment also played a critical role in the movement that led to the foundation of Queens College Cork, later re-named as University College Cork. This book was published by Cork Institute of Technology (CIT) Press as part of a consultancy project. It can be purchased from CIT Press. This book is based on the series of articles that featured in the Cork Independent newspaper from October 2007 to June 2009. It documents my explorations in the parishes of Aghabullogue, Inniscarra and Ovens on the northern valleyside on Inniscarra Reservoir, part of the course of the River Lee. It encompasses much fieldwork and oral history testimonies. The book is published by Nonsuch Ireland. Generations: Memories of the Lee Hydroelectric Scheme (co-written, 2008). A book, which grew out my column in the Cork Independent, it focusses on the journey of the Lee and the key places of settlement, monuments and community leaders all the way along the valley. It contains lots of pictures and alot of original material previously not drawn together (Sold out from the publisher, still available from amazon). This book was my first venture into oral histories. I spent the summer of 2005 getting to know an amazing bunch of women who worked on the Cork 2005 Knitting Map. The book contains interviews with seventy women and focusses on life in general giving advice on survival and self empowerment. it was a pleasure to meet such great people. The book was published by Nonsuch Ireland (sold out). A book published by the Sisters of Charity in St. Patrick’s Hospital, it charts the development of the hospital from 1869 onwards. this was an eye opening experience to be able to write this work and be given access to the hospital to see the great work of the sisters and staff (sold out, from Marymount Hospice, Bishopstown, Cork). Discover Cork was published by the O’Brien Press in Dublin as part of their National town guide series. A great ABC book to how the city developed with maps and pictures. Part 1 focuses on the key stages of the city’s growth from early times. Part 2 focuses several of the city’s views, river locations, buildings and artwork. Still available from Amazon. Sold out from the O’Brien Press. A book co-written and co-published with Michael Lenihan. Michael collects Cork books, photographs and postcards. We worked together to bring out a book which showed Cork City, one hundred years ago through postcards. 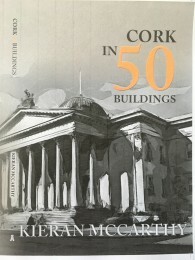 The book showcases some of Cork’s key throughfares and architecture. The streets and shops have changed but the character and essence of the streets have survived (sold out). Self published, ‘Pathways’ grew out of my walking tours of the city and my early columns in Inside Cork. A book with two walking trails of Cork City, it leads the reader from St. Finbarre’s Cathedral through Shandon to St. Patrick’s Street. The book uses maps and buildings to profile the development of Cork City through the ages (still available from Kieran, limited edition).